Google wants the Chromecast to be your one and only streaming stick this holiday season. The company recently launched yet another limited time offer to sweeten the deal for prospective Chromecast buyers. From now until December 21, anyone who picks up a Chromecast from Google Play or participating retailers such as Amazon and Best Buy will get a $20 credit for Google Play Movies. That's on top of the two other deals you can get if you buy your Chromecast from Google Play: two free months of free Hulu Plus and three months free of Google Play Music All Access. 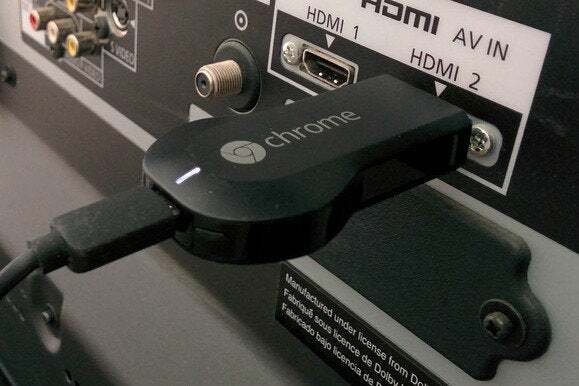 Why this matters: It wasn't that long ago that Google's Chromecast was the only streaming stick that really mattered. Now there's Amazon's Fire TV Stick, Microsoft has a Miracast dongle, a start-up is working on a Firefox OS-powered Chromecast competitor for early 2015, and even Walmart might produce a Vudu-focused streaming stick. Google's Chromecast was already a good buy at $35, but now with a $20 credit for Google Play and a load of other freebies, it's hard to say no to the rapidly growing platform even with all the new competition. Plus, this deal makes it even easier to pair the Chromecast with the Fire TV stick for the ultimate streaming video setup. Google says the credit is for $20 towards movies, but the fine print suggests you could use this credit towards pretty much anything at Google Play, device purchases excluded. The $20 credit also needs to be added to the recipient's account by January 31, 2015 and will expire a year later on January 31, 2016. The Hulu and Play Music deals, which are available until December 31, have similar considerations. The two deals are available with a Chromecast purchase until December 31 and must be redeemed by January 31, 2015.